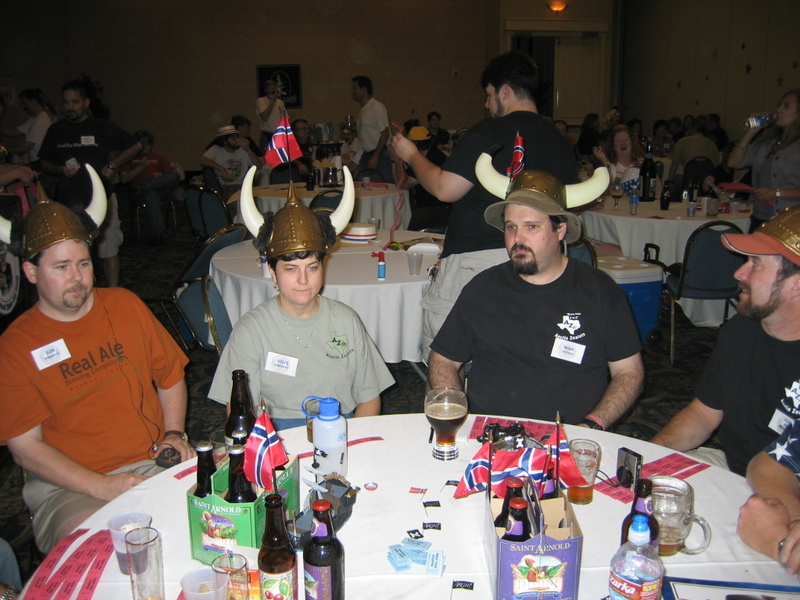 Mark Schoppe (in black shirt), sitting with members of the Austin ZEALOTS, at the 2008 Dixie Cup (competition/conference of the Foam Rangers homebrew club of Houston, TX). 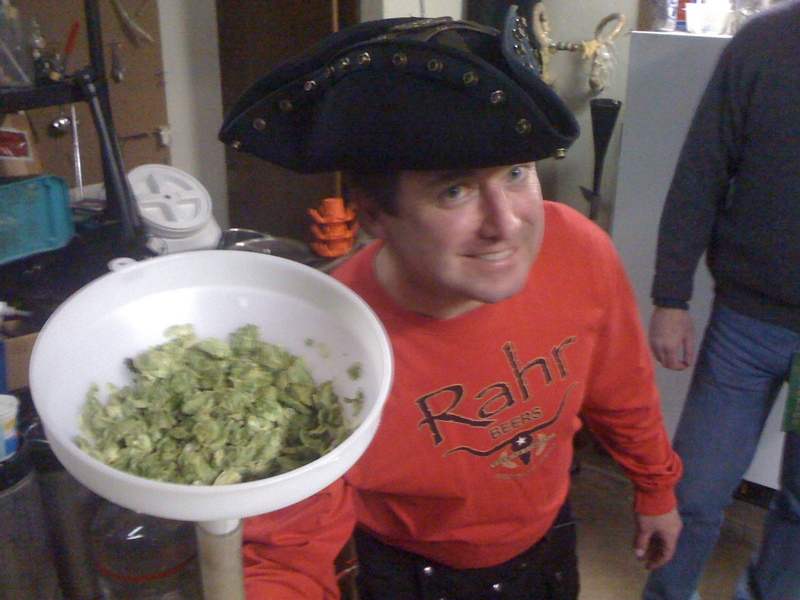 Mark Schoppe was the 2012 Ninkasi winner at the National Homebrew Conference and also the winner of the 2012 Lone Star circuit (a series of homebrew competitions in Texas). This is a beer of his that won the Funkiest of Show at the Alamo City Cerveza Fest (San Antonio, TX) in 2012. He also brewed it at Freetail (San Antonio, TX) as an entry in the GABF Pro-Am. This is a sour smoked ale based on a rare German style. It is like a combination of rauchbier and Berliner weisse, two of my favorite styles. The goal is to produce a light-bodied beer with a clean lactic sour flavor, and a mild smoky flavor. The sour and the smoke should both be prominent, but not overpowering, and linger into a long dry finish. I’ve made several versions of this, some using Lactobacillus to sour in the primary, and some using a sour mash to sour before the boil. 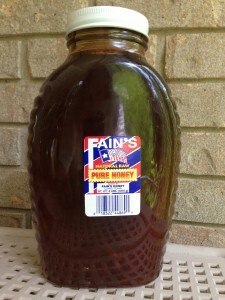 The sour mash approach is very dependable at producing a sour flavor, and does so very quickly. However, it can also produce some funky flavors that are out of place. I’ve had mixed results using Lactobacillus (sometimes it just doesn’t product enough sour flavor, in which case you may end up with a nice smoked Kölsch). The approach I use in this recipe is the most dependable I’ve found so far. Basically, you ferment for one week with just Lactobacillus at a very warm temperature (90°F), and then cool down to 68°F, add ale yeast, and then ferment for another week. Club Night at the National Homebrew Conference is likely the most popular reason to attend, and this year in Philadelphia was no exception. 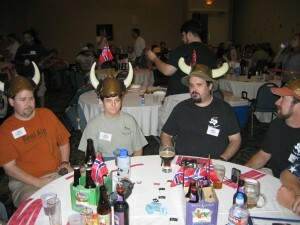 According to the American Homebrewers Association site, almost 90 clubs from across the country were represented. Steve Wilkes with a couple of his new best friends. Club members pulled out the stops to show off by building elaborate booths and putting on tap many delicious brews. The Barley Legal club members out of Maple Shade, New Jersey, brought in 125 kegs and were awarded the coveted Golden Urinal for their efforts. Corey Martin, Brewer, Patriot, Thrower of Great Parties. Corey Martin is the Primary Fermenter of the Austin ZEALOTS (Zymurgic Enthusiasts of Austin Loosely Organized Through Suds) homebrew club. He and his wife Angela also host the annual Christmas party — which now includes a chili cookoff — at their house. This is a recipe for Corey’s Munich dunkel. presented in two forms — all-grain using English units and all-grain using metric units. Because of the high amount of Munich malt in the grist, an extract adaptation isn’t really feasible. This is an all-grain Munich dunkel recipe that won the 2011 Sam Adams Longshot homebrew competition. It is a Munich dunkel, an amber to dark, medium-bodied brew. With a nice malty backbone, this lager has roasty, slightly spicy notes and a traditional doughy character from the yeast. I’ve tried the beer with several different yeast strains, but like the original Bohemian lager strain, (Wyeast 2124) the best. You can use this to make a pale wheat beer, or a dunkelweizen — it all depends on how much (and where) you stir. The first time I tried to brew a wheat beer from malt extract, I ended up with a dunkleweizen. Boiling the thick wort on my stove for an hour darkened it to a light brown. I’ve since learned that brewing light colored extract beers requires boiling a larger volume of wort (with a corresponding a lower specific gravity), using only fresh malt extract and withholding most of the malt extract until very late in the boil. These days, most stovetop extract brewers add half or more of their malt extract late in the boil. 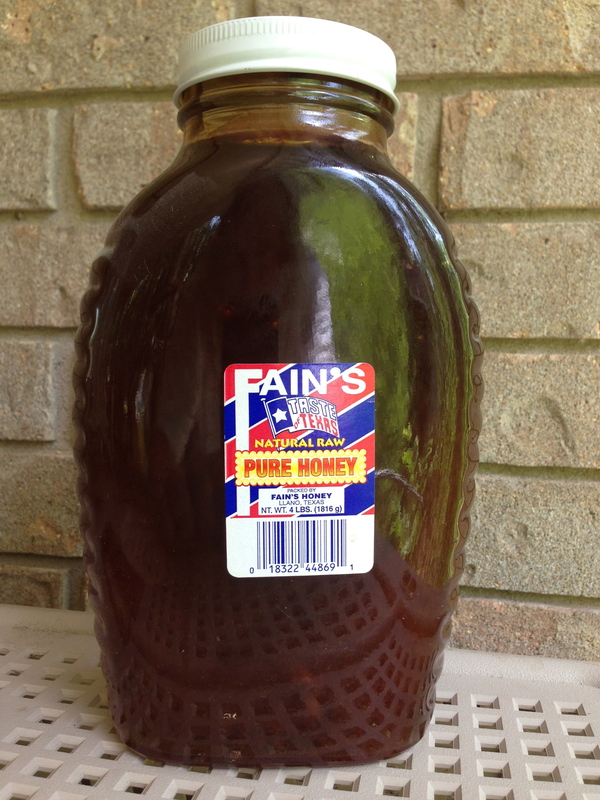 The idea is to darken the extract less by cutting down on the amount of time it is heated. 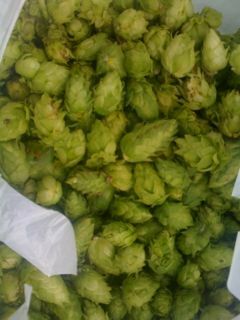 In addition, since the hops will be boiled at a lower specific gravity prior to the final extract addition, hop utilization may improve. Brewers of all sorts may also occasionally brew a Belgian-style beer or other beer that requires a large addition of sugar to the kettle. A problem that frequently arises is that large additions of dry sugars or syrups end up sinking to the bottom of the kettle (or brewpot) and scorching. You can try to minimize this by vigorous stirring, and some brewers even shut off the heat until the sugar is dissolved, but there’s a way to handle kettle additions that’s easier and more effective — dilute the sugar with hot wort before adding it to the kettle. Brewing a delicious, hoppy American Pale ale is a breeze with extract brewing. Homebrewers can use the ease of brewing with malt extracts to their advantage to brew beers that are showcases for American hops during a surprisingly short brew day. Many homebrewers turn their noses up at extract beers. Once they have conquered the summit of all grain brewing, some brewers feel brewing with extract is a step back down the slope. However, brewing with extract can have its advantages. Obviously, extract brewers skip the labor- and time-intensive steps of milling, mashing, lautering, and sparging. 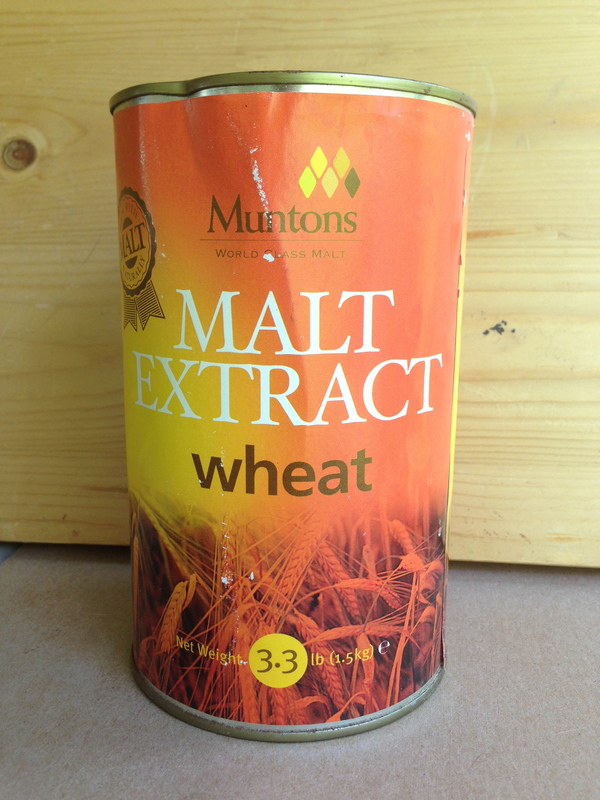 There is an added time-saving advantage to malt extract: the extract does not have to be boiled for a full hour. Since the extract is essentially an all grain wort that has been fully boiled at the manufacturer and has simply had most (or all) of the water taken out, the malt extract company has done most of the work for you. All you need to do is to boil the extract long enough to sanitize it. Forest and Main is home to some inspiring beers. In the previous chapter of our story, our protagonists, Steve Wilkes, Andy Sparks and I, had just finished a tasty lunch at Victory Brewing’s pub. If it weren’t for the persistence of Bryan Kolesar, publisher of thebrewlounge.com, the day might have ended soon after with a satisfying nap. However, Bryan had three more stops planned, and he was not going to abandon his desire to show off his hometown of Philadelphia – even though the timing outlined on his spreadsheet had been blown to Hell by traffic snarls and smallish bladders. 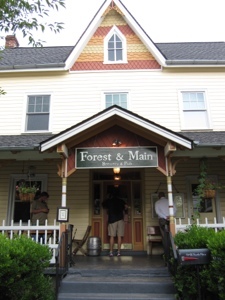 So, off we went toward Ambler, Pennsylvania and the intersection of Forest and Main – the home of Forest and Main Brewing. Should sunflower seeds move from being a prominent fixture of bird feeders and ballplayers’ cheeks to being among more traditional brewing grains in the mash tun? The jury is still out, but sunflower seeds are among the gluten-free grains that a small malting company has been experimenting with and introducing to local breweries. 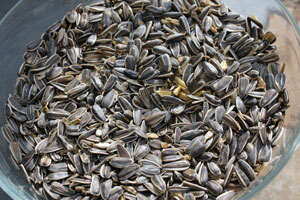 Bird seed or brewing ingredient? Colorado Malting Company is a based on a family farm in Alamosa, Colorado. According to the company’s president, Jason Cody, before founding the malting company, his family had grown two-row malting barley for Coors for almost half a century. In 2008, with the help of a couple of experts who worked at Coors, they decided to start malting and selling their own grain. The Cody family converted an old dairy tank to malt 500 pounds of grain at a time. The tank had been unused since the family sold their dairy cattle in 1995. A false bottom and an aeration system were added. Steve is auditioning for a position on The Price Is Right. Bryan Kolesar of thebrewlounge.com deserves hero status for spending 12 hours and 130 miles taking Steve Wilkes, Andy Sparks and me on an outstanding beer tour of Philadelphia, his hometown. We all know of Philadelphia’s historic role in the founding and shaping of our country. Bryan took it upon himself to ensure that we also knew of Philly’s thriving craft beer culture. After all, it’s the home of Philly Beer Week, with hundreds of events surrounding it. 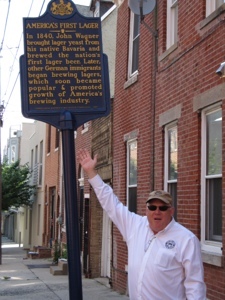 The day started with a quick stop at a marker commemorating the first lager brewed in the United States. In 1840, could John Wagner have predicted the beers that evolved from his Bavarian influences a century later or the Superbowl ads that would eventually promote them? Probably not. Steve Wilkes makes a great sign model. 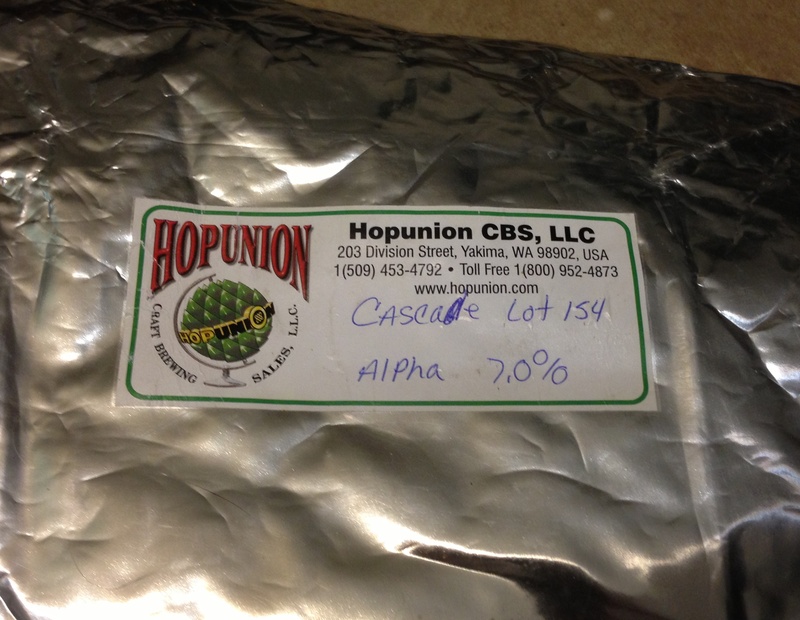 The alpha acid ratings of hops is important, but hops do more than supply alpha. So it’s time to brew your IPA again. But this year, the alpha acid content of your hops has changed. So, you jump on your brewing software, type in the new alpha acid percentages and figure out how to adjust your hop charges to hit your previous IBU target. Simple, huh? Adjusting your hopping amounts to account for varying alpha acid content is important if you are trying to brew consistently. But keep in mind that hops supply more than bitterness (from alpha acids) to your beer — they also supply flavors and aromas from the hop oils. If your hops have 20% more alpha acids some year, your brewing software will tell you to scale back your hop additions by 20% to hit your target IBU level. However, you will also be changing the amount of hop oils added to your kettle. In turn, this will impact the aroma and flavor of your beer. Unfortunately, the oil content of hops isn’t reported on most homebrew packaging. 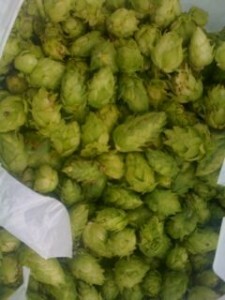 (It is measured and reported by hop merchants.) So homebrewers have to play a bit of a guessing game when it comes to oil content.